If you are looking for a romantic holiday in Koh Samui, look no further. 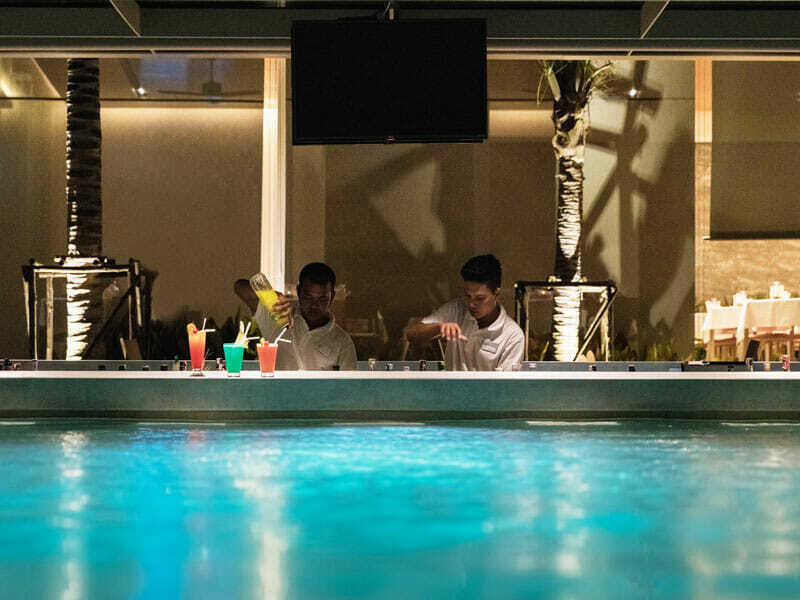 Whether you want to honeymoon in Thailand or you’re just keen to treat yourselves to some much-needed R & R, this adults-only resort is the place to be! 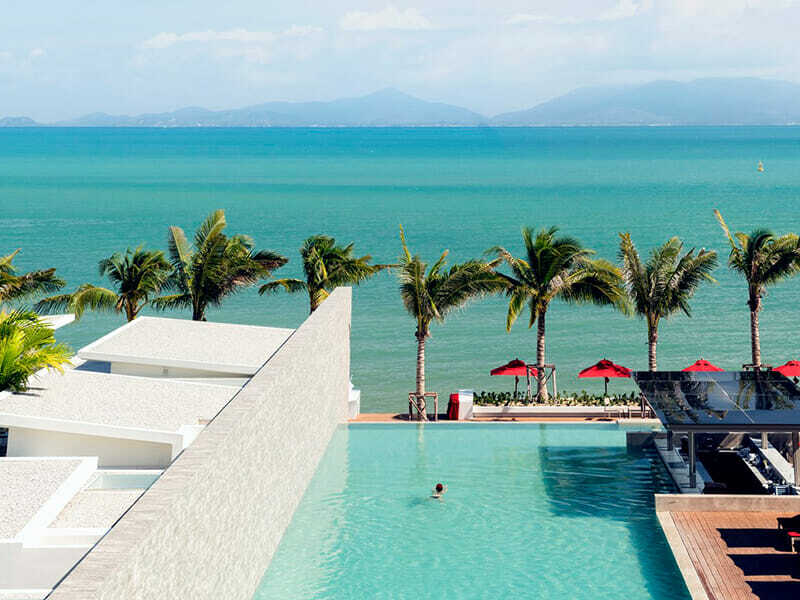 Sensimar Koh Samui Resort & Spa boasts modern accommodation, a beachfront infinity pool and sundeck, swim-up bar, spa and fitness centre, free kayak rental and rooftop yoga. 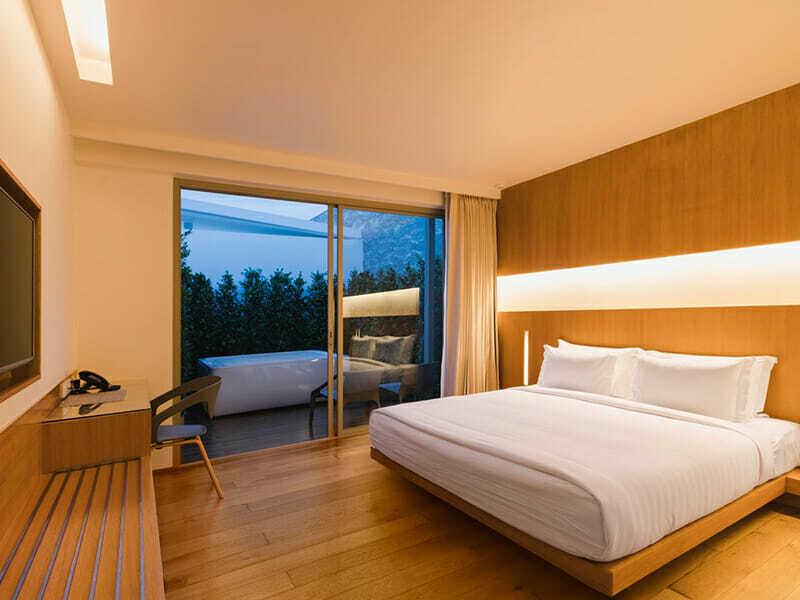 On top of this, the resort is easy to get to; just a short 20-minute transfer from Samui Airport and a 10-minute ride on the complimentary shuttle into the local town. Sensimar Koh Samui Resort & Spa is perfect Thailand holiday destination to unwind and enjoy each other’s company! 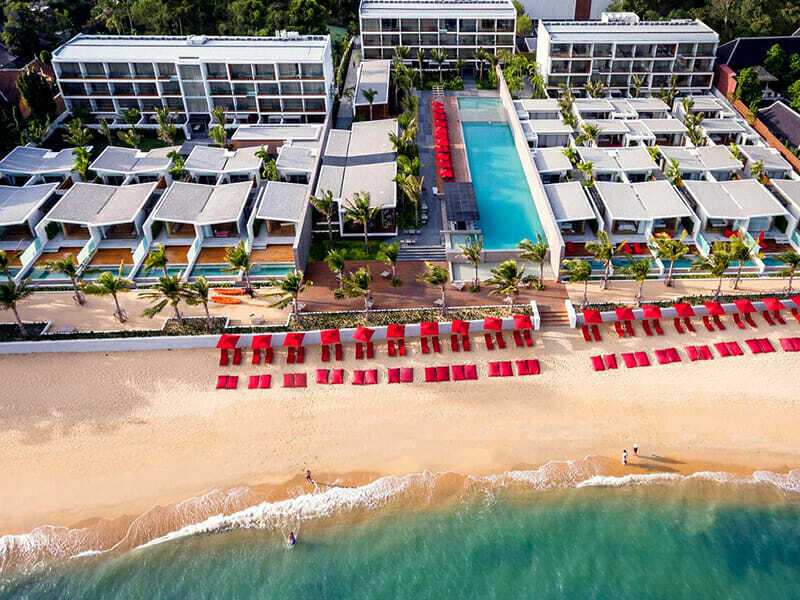 Sensimar Koh Samui Resort & Spa opened in 2016. It is run by an expert team of resort professionals—a group with years of experience, who pride themselves on a warm reception, their ability to make each guest feel instantly at home and their outstanding customer service and attention to detail. Sensimar Koh Samui Resort & Spa offers the best of the best holiday experiences. It is located on the Maenam Beach, just 10 kilometres from Samui Airport and only 4 kilometres from the local shops, nightlife and attractions. With great facilities, exceptional dining and modern luxury accommodation, this is one tropical paradise you won’t want to leave! Start your morning with a kayak in the bay, followed by a delicious breakfast in the beachfront restaurant. Spend the day relaxing by the pool at this tranquil adults-only paradise, with a swim-up bar and private beach to meander along as you please. 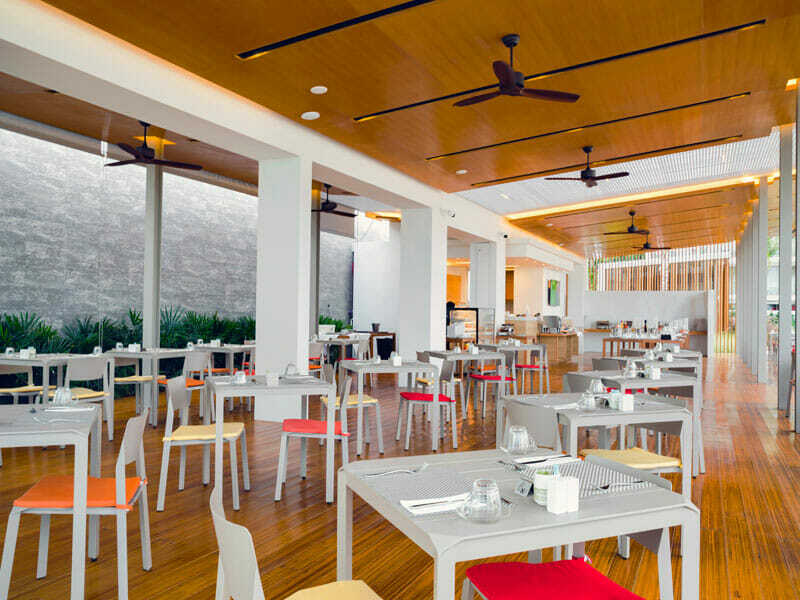 Grab lunch at the onsite restaurant or hop on the complimentary courtesy bus into town to explore Fisherman’s Village and the amazing local shopping and dining options on offer. 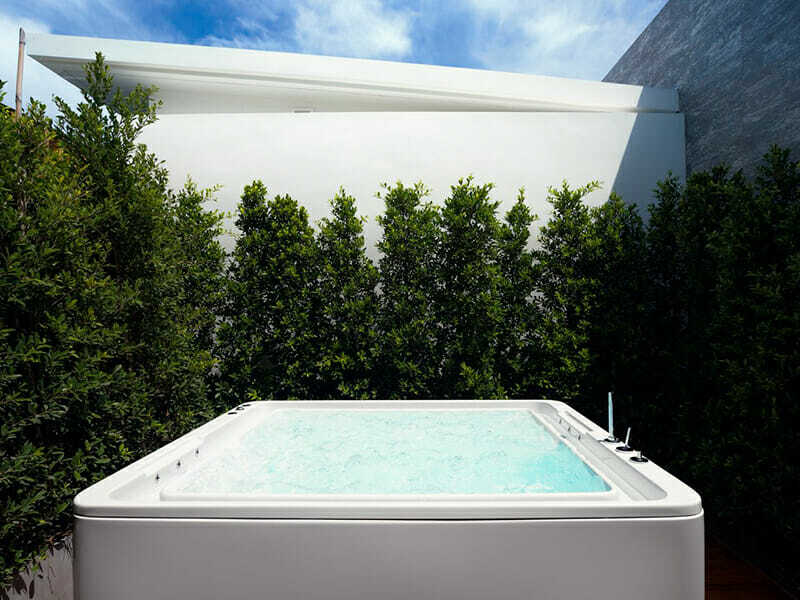 In the afternoon relax with a luxury spa treatment or a soak in your private outdoor pool or spa bath. Finish off the day with a romantic dinner for two as you take in the sunset and the ocean views. 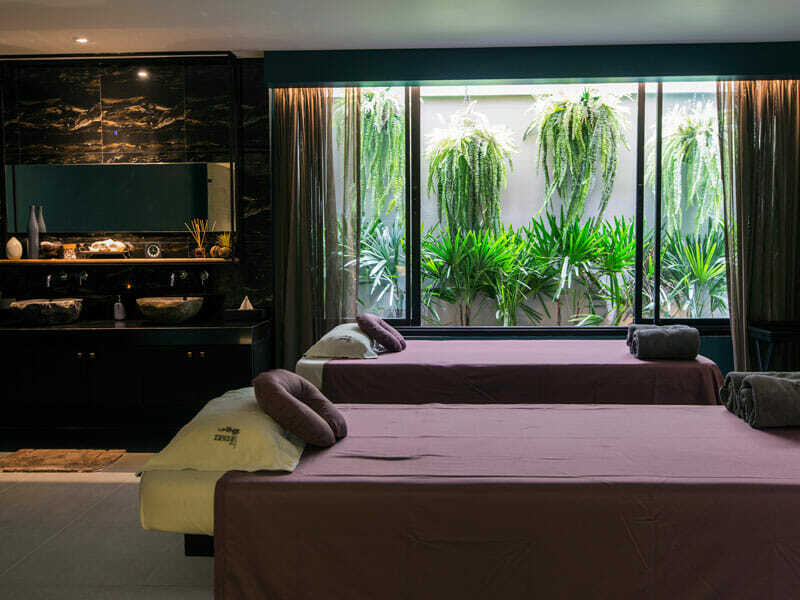 Why Go to Sensimar Koh Samui Resort & Spa? Imagine talking a sunset walk along the stunning white-sand beach, relaxing in your private spa bath surrounded by lush greenery, or enjoying a massage at the Zense Spa before a pre-dinner cocktail in the Lounge Bar. 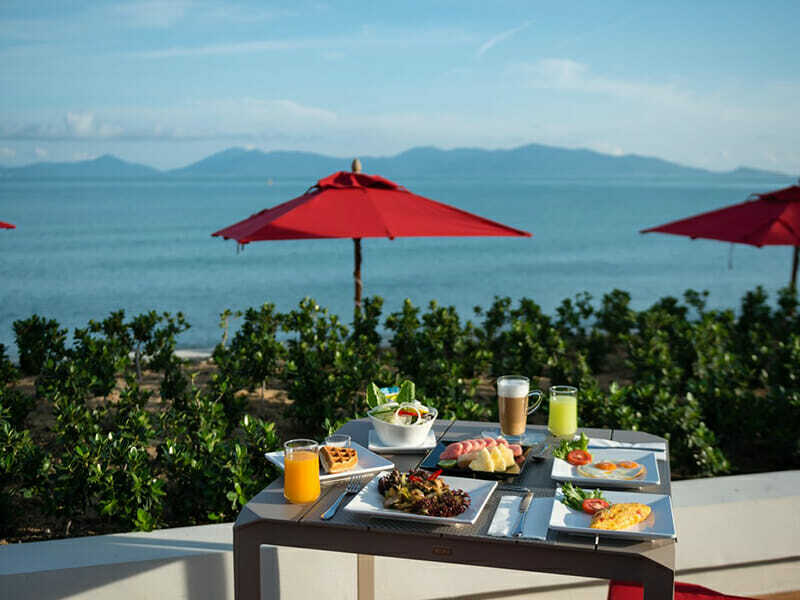 All this and more is possible at the adults-only Sensimar Koh Samui Resort & Spa. 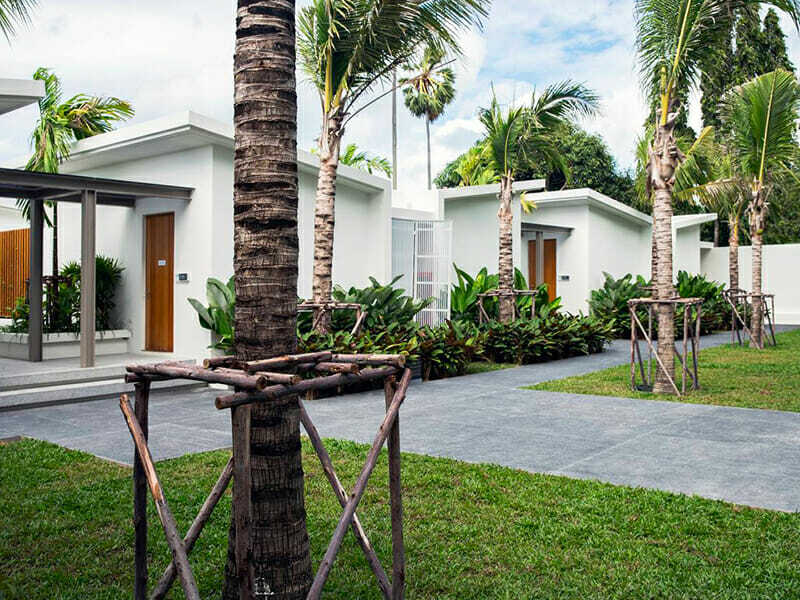 You can’t go past these spacious, freestanding buildings located throughout the lush resort grounds. Accommodating 2 adults within 43sq. 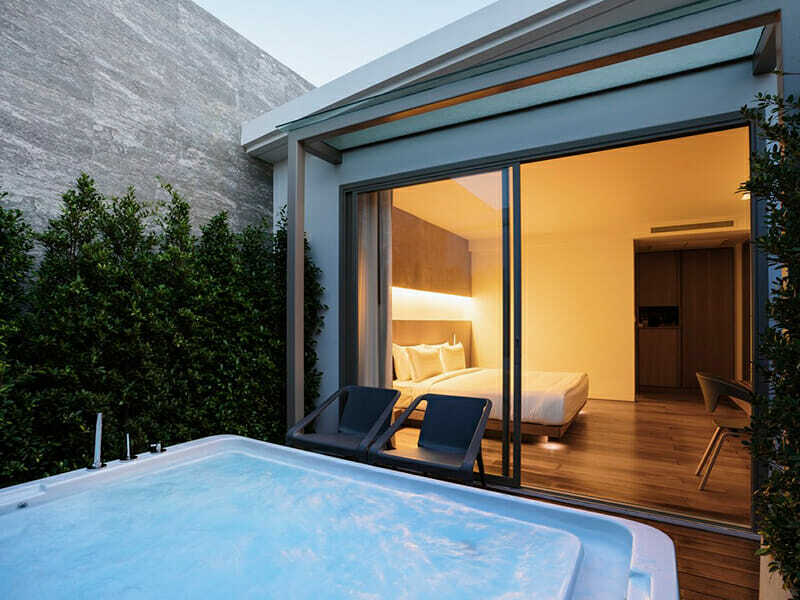 metres of space, these villas feature modern décor and a furnished private courtyard with spa bath to really get you into the holiday spirit. Junior Spa-Bath Villas also house a plush King bed, air-conditioning, a flat-screen TV, minibar and both USB and international plug sockets. The villas come equipped with tea and coffee making facilities and an en suite bathroom. This features a hairdryer, iron, bathrobe and slippers and deluxe complimentary toiletries to help you unwind! Free Wi-Fi is available in the villas and the rest of the resort. Koh Samui is a small island located off Thailand’s east coast. The island is a popular destination for tourists and has many tourist attractions, activities, shops and dining options. The island even boasts its own airport and Sensimar Koh Samui Resort & Spa is just a short 20-minute drive away! Nestled on the north coast of Koh Samui, the resort is in a quiet location on a private beach, within a few kilometres of seafront restaurants and nightlife if you want to explore. If you tire of the stunning pool, swim-up bar, rooftop yoga and more, why not board the free shuttle to explore? Travel to nearby Fisherman’s Village. This traditional village is one of the oldest parts of the island and has a unique, distinctly Mediterranean feel. 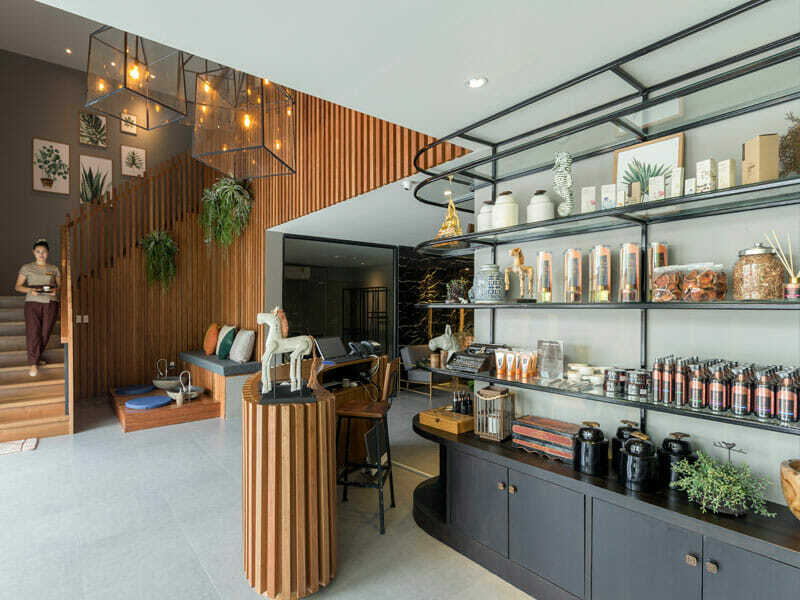 Browse the boutique shops, stop for a bite to eat or just admire the architecture as you explore the village. Every Friday the Fisherman’s Village has a market with an impressive collection of local goods, street food and cocktails at bargain prices. Close by, one of the island’s more famous landmarks, the Big Buddha, is well worth a visit. The 12-metre high shrine is surrounded by other smaller religious temples, market stalls and street food; if you fancy relaxing on holiday and don’t plan to leave the resort, this is one attraction you can actually see from the air while flying into the island! If you are interested in seeing more of the Buddhist temples, visit nearby Wat Plai Laem, a temple topped by the 18-armed Goddess of Mercy – Guanyin. When visiting the Big Buddha or Wat Plai Laem, don’t forget to take something to cover your shoulders as they are sacred buildings. Further afield you can go on diving trips to the famed Ang Thong National Marine Park, Koh Tao (Turtle Island), or other equally impressive local diving and snorkelling sites. Find out a bit more about the Thai culture and food with a Thai cooking course; get back to nature with a hike and a swim at the Na Muang Waterfalls; or go on a 4×4 tour of the island to see hidden away treasures, such as the Secret Buddha Garden and its breathtaking panoramic views. We absolutely loved our stay at the Sensimar Koh Samui. The hotel is beautiful down to every last detail. The rooms are clean and modern, the pool is sensational with views across the beach. Amazing buffet breakfasts every morning and happy hour cocktails at the swim-up bar. The staff were extremely helpful and went out of their way to cater for our every need. The shuttle bus to Chaweng and the Fisherman’s Village were also great. The Sensimar also has a great gym and daily beach or rooftop yoga sessions! We would definitely stay here again.